Here are popular summer dishes which are good for keeping cool or beating the heat. 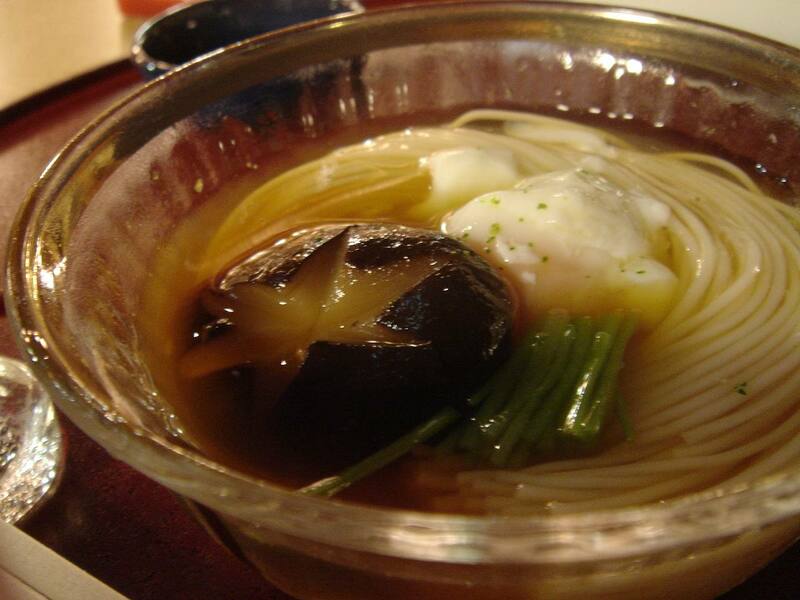 Boiled and chilled somen (thin wheat noodles) are served with dipping soup and various toppings. Hiyashi chuka is a popular summer noodle dish. It's like a noodle salad. Restaurants in Japan serve hiyashi chuka only during the summer. Colorfully served hiyashi chuka can be very appetizing. Salt-boiled edamame in pods are eaten by squeezing beans out of pods with fingers. It's a popular Japanese summer appetizer and go well with cold beer. This vegetable curry recipe is a variation on basic Japanese curry. Eggplants add great texture to the curry. Add your favorite summer vegetables. It's said unagi gives us stamina, and it's consumed the most during the summer in Japan. This is a basic Japanese unagi rice bowl which is topped with glaze-grilled unagi and kabayaki sauce.